BRING YOUR DESK TO LIFE! Amazeko carries kids’ electric pencil sharpeners. These pencil sharpeners aren’t just any ordinary pencil sharpeners—they light up and include sound-effects. We carry pencil sharpeners that include a fire-truck theme, an ice cream truck theme, and a police SWAT truck theme. 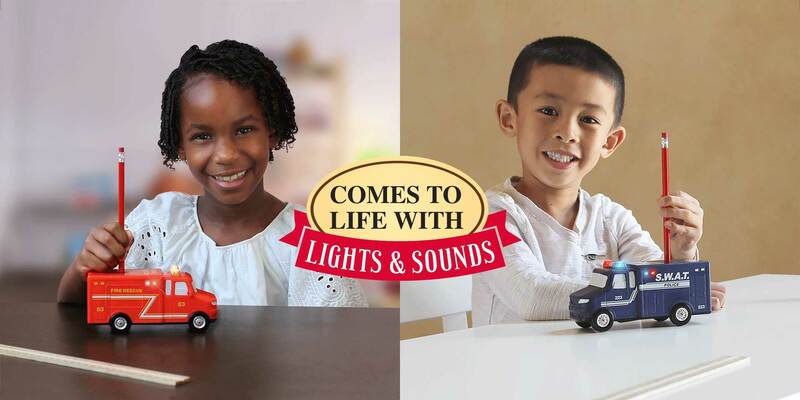 Your child will no longer dread the thought of doing homework—in fact, these battery-operated pencil sharpeners will make your child eagerly anticipate it! These pencil sharpeners are ideal whether you’re buying one for home or as an office gift. Amazeko sets the standard for novelty pencil sharpeners. These pencil sharpeners also include a safety shutoff feature that gets activated when shavings are emptied. 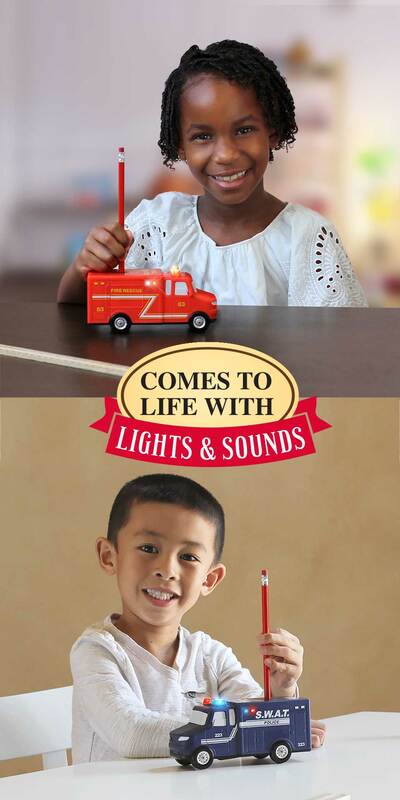 Buy Amazeko kids’ electric pencil sharpeners today to see the difference that our products make. "This product is not only cute, but it sharpens the pencil like nobody's business!" "It’s much nicer than any other sharpener I have used – including professional ones at school"
"It's amazing how a small detail can inspire a lot more creativity." "A real family dynamic game changer when its homework time." "I love watching my girls smile and giggle every time they reach for and use this pencil sharpener." Inspiration can come from anywhere. Amazeko is dedicated to creating products that engage the creative part of your brain, throughout the school or workday. Amazement is a stress free moment, sparking ideas, and challenging you to think differently. Everything we make must first and foremost be functional, but there’s no reason it can’t also amaze.